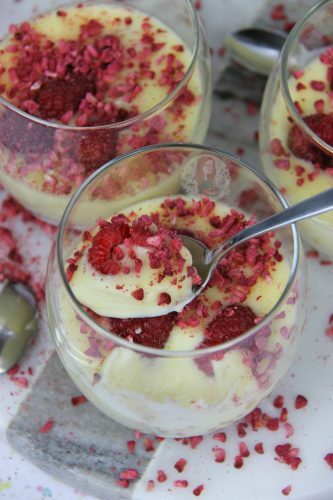 Cream, Sugar, Lemons and Raspberries making a DELIGHTFUL yet easy Dessert! 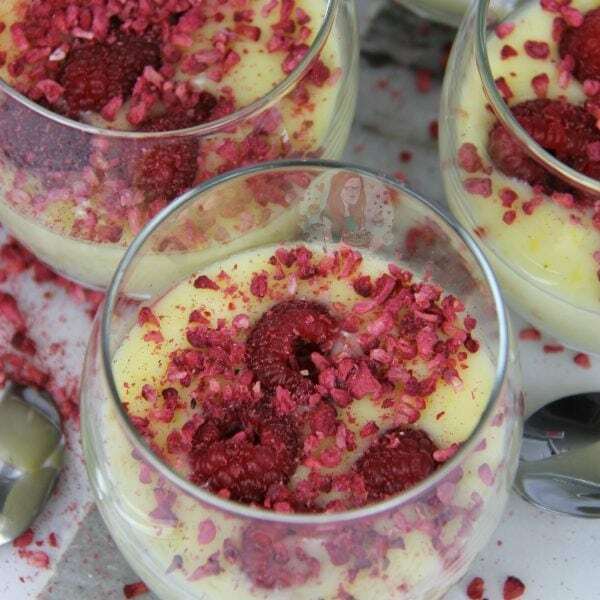 Lemon and Raspberry Posset’s are perfect for any occasion! So its officially 2018. Honestly, how is it 2018? 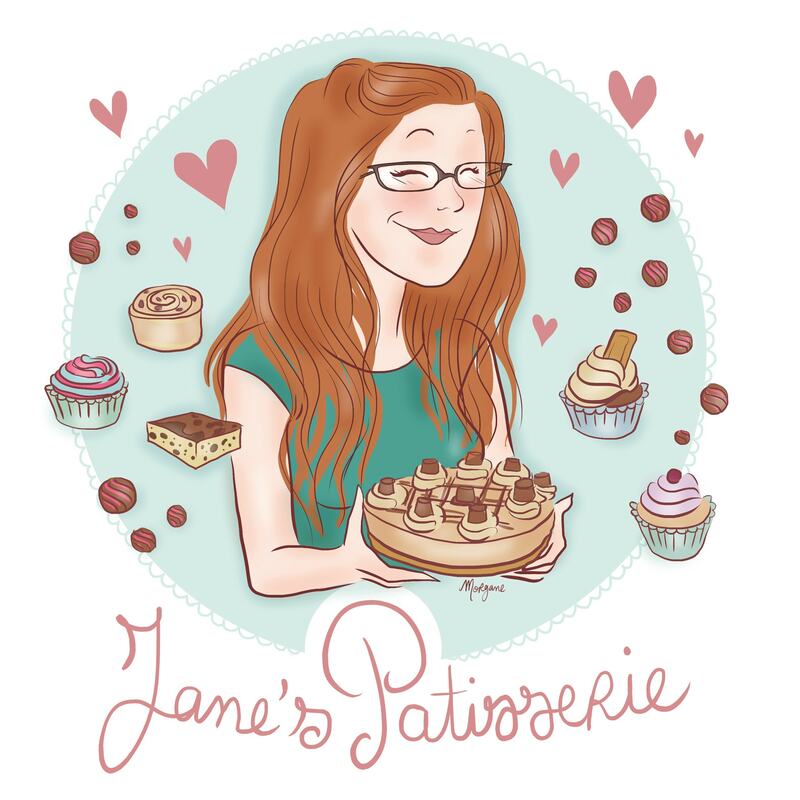 I started my blog back in November 2014, but time is flying by! 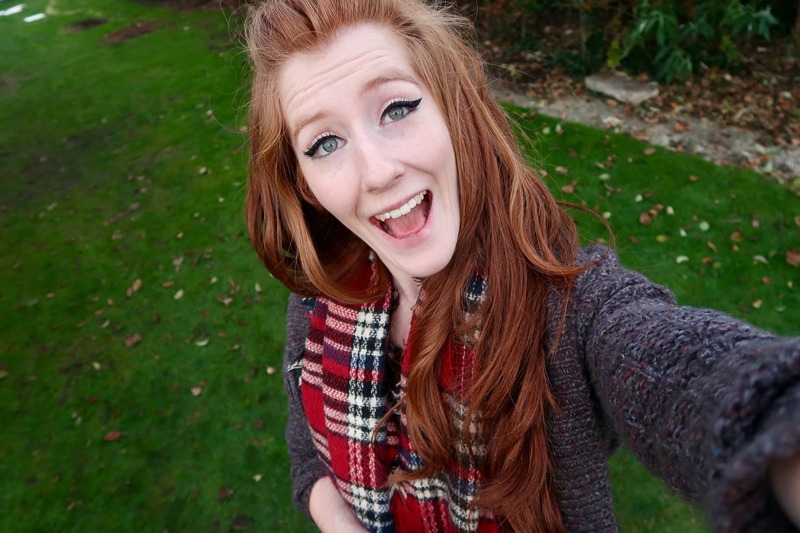 I’m going to be 26 this year, and I definitely don’t feel old enough yet! Back in July 2015, I made my Lemon Posset Tart, and it has always been a hit. It’s a delicious way of changing up a classic, or making a tart that isn’t based around Chocolate. 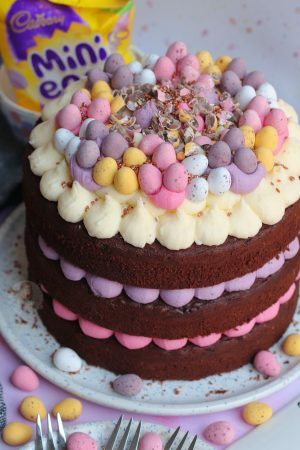 I wanted to create something that had very few ingredients, but was an easy showstopper to make. However, many of you have asked how to make actual Lemon Posset pots, so here it is. However, as you can see, I also put in some Raspberries as its a delicious combination. Relatively recently I posted my recipe for my Lemon and Raspberry Cupcakes, and I just find them so light, yet full of flavour. I adore anything Chocolatey, but I get that not all of you do. 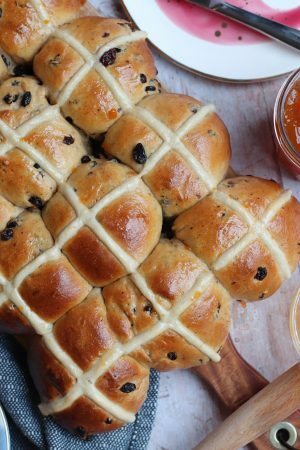 Also, as its the start of the new year, and this is my first recipe post in 2018, I thought I should post something light, easy, and delightful. Luckily, posset’s are easily adaptable, and you can add other flavours easily, but lemon is the classic. 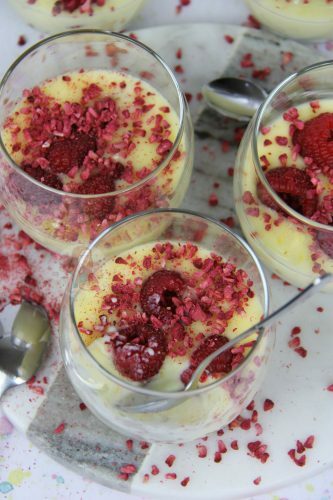 Lemon and Raspberries are a winning combination as I have said, and I just want to devour these all myself. This recipe really does depend on your boiling the cream and the sugar together for long enough, but not too long. As you are boiling cream and sugar, if you just leave it and the heat is slightly too high, it will begin to boil up and bubble over. If this happens, you might have a slightly harder set. I quite like my hard or soft, but its a natural jelly like substance but so much creamier and yummier. 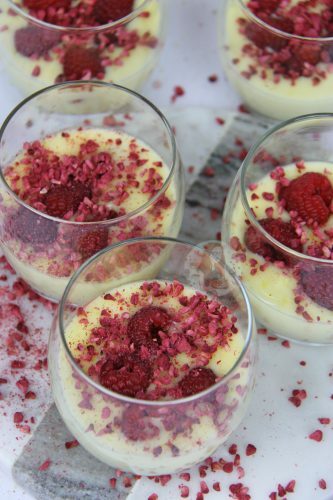 Cream, Sugar, Lemons and Raspberries making a DELIGHTFUL yet easy Dessert! 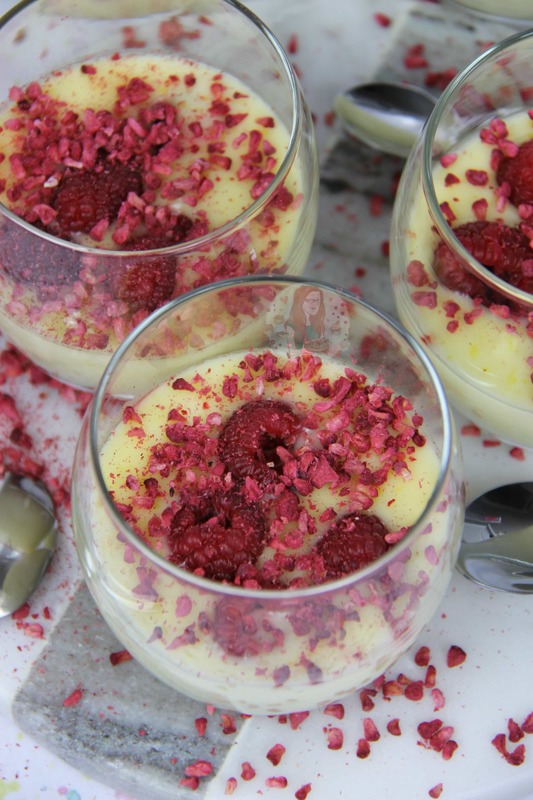 Lemon and Raspberry Posset's are perfect for any occasion! Zest your Lemons with a small grating size, and juice the lemons as well. Leave to the side for now. In a medium-large saucepan, add your cream and caster sugar. Turn on the heat to a low setting, and slowly let the sugar dissolve into the cream. Once the sugar is all dissolved, turn the heat up to a medium heat max and stir constantly. Wait for the mixture to start boiling, and let it boil gently for 1-1.5 minutes. Take off the heat, and add in your lemon zest and juice. Mix in. 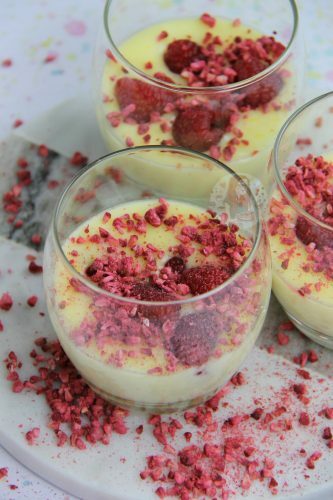 Pour your posset mixture into some glasses, ramekins, or bowls... whatever takes your fancy! 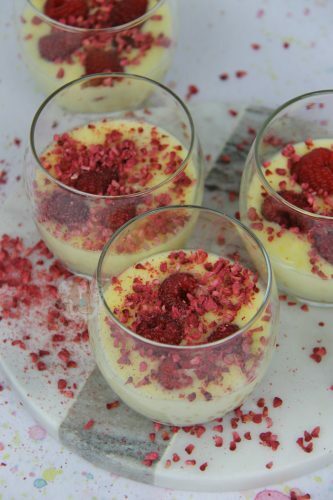 Add some fresh raspberries to each posset and let them sink in slightly. Sprinkle over some freeze dried raspberries and let the Posset's set in the fridge for 4-5 hours. You of course don't have to add raspberries to this mixture, but I love the flavour combination. You can also multiply up the recipe if you need. This mixture comfortably makes 4-6 Posset's, but a general rule of thumb if 150ml cream, to 50g of sugar. And then 20-25ml lemon juice and zest of a lemon per quantity as well. These will last in the fridge for 2-3 days once set. Older Next post: My Top 10 Recipes in 2017! Newer Previous post: Gin & Tonic Drizzle Cake! Ooh these really do look yummy. I too love the combo of lemon with raspberry. 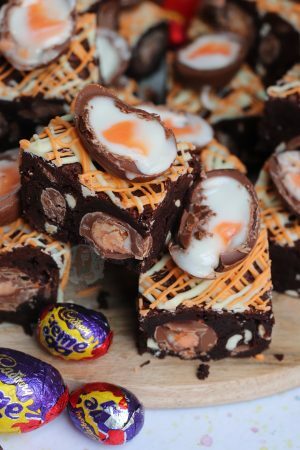 I know this may sound odd, but I quite often have leftover cream from recipes and this would be a great way to use up and make myself a treat! Pinned.